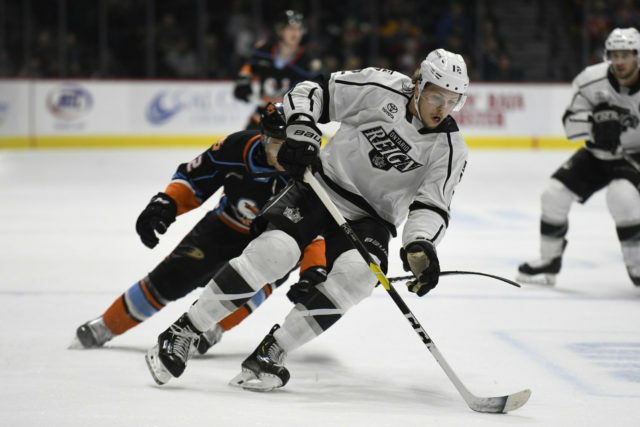 The Ontario Reign bounced back with one of their most complete performances of the season, a 6-3 victory over the San Diego Gulls, snapping a two-game losing skid overall and a three-game losing streak against their So-Cal Series rivals. 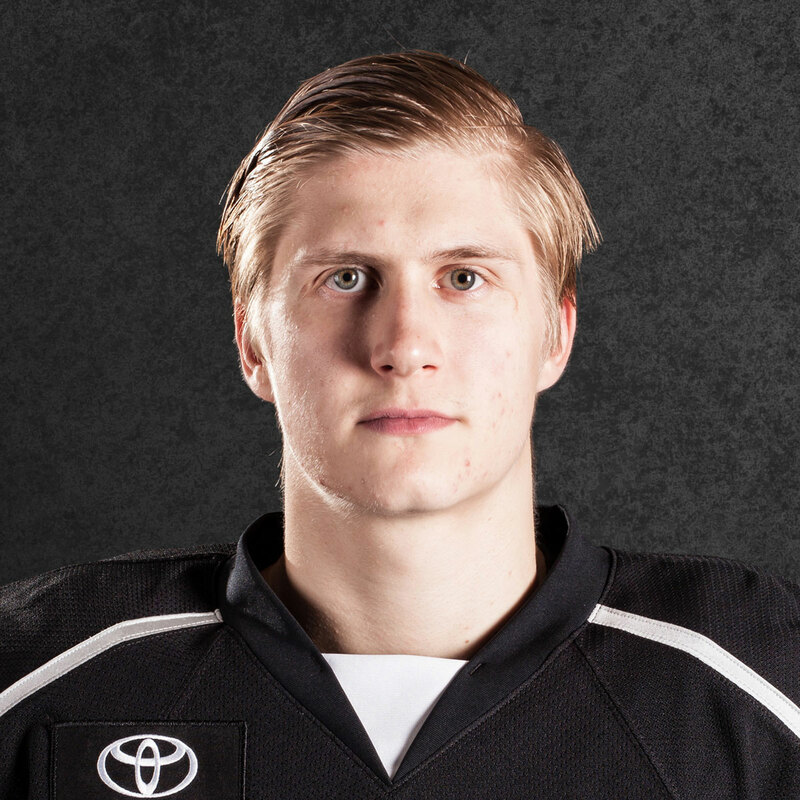 Forward Carl Grundstrom scored a pair of slick goals as a part of a three-point night, while forward Philippe Maillet had a four-assist night and forward Kyle Bauman had a multi-point game, including the game-winning goal. Goaltender Cal Petersen made 37 saves on 40 shots as he earned his fifth victory of the season. 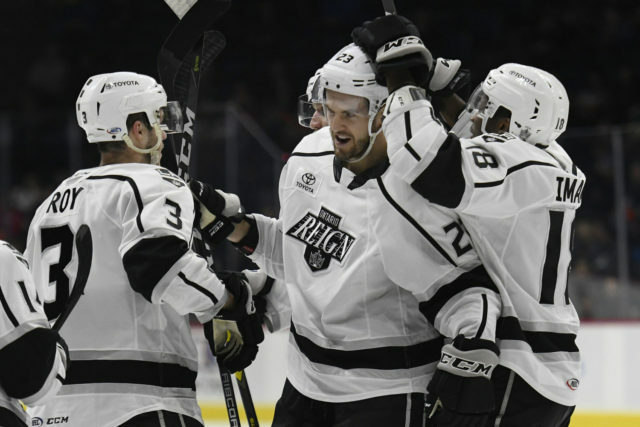 The Reign looked in much better shape than they did last weekend, especially from last Friday in San Diego to now. 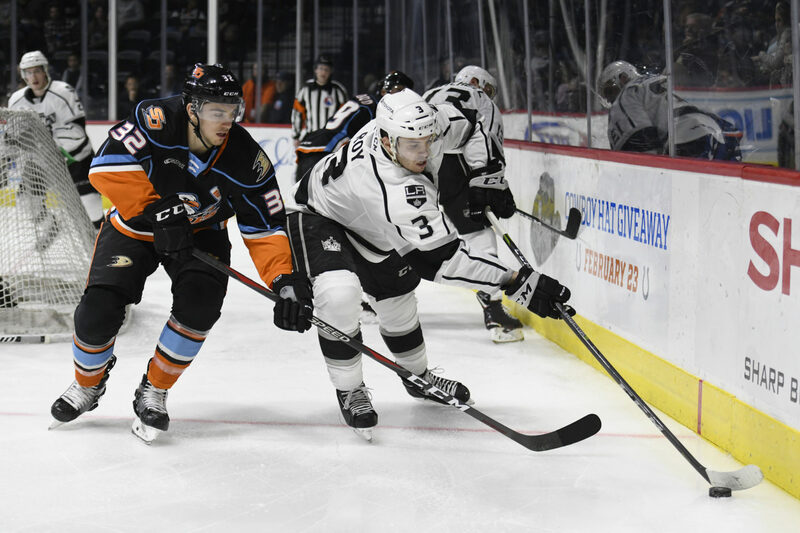 After Grundstrom opened the scoring, the Gulls scored twice to take a 2-1 lead, but unlike the last meeting, the Reign halted the San Diego momentum almost immediately, scoring twice in a span of 19 seconds to retake the lead into the first intermission. 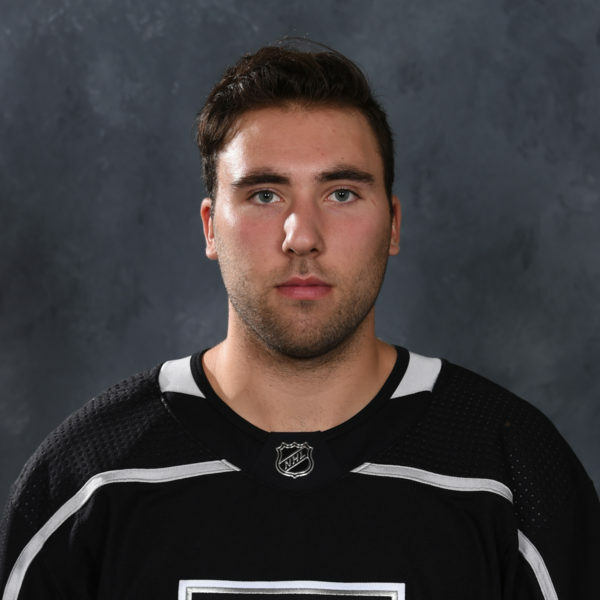 All five first-period goals came in 3 minutes and 26 seconds of game play, ending with Ontario ahead by a goal. Bauman extended the Reign lead to a pair with the lone goal of the second period, a deflection off of a Matt Roy shot to push the visitors ahead 4-2. 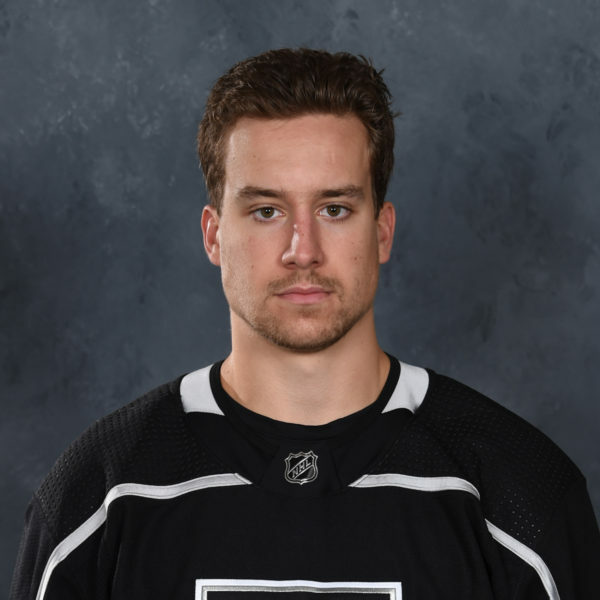 Grundstrom added his second of the night in the third period and, following a 2-on-1 tally from Gulls winger Kalle Kossila, defenseman Matt Roy iced the game with an empty-net goal inside the game’s final minute. 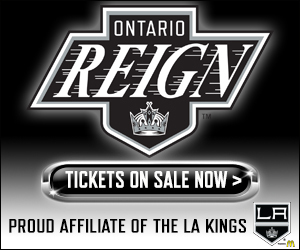 The Reign are on the “NHL schedule” this week, with a game every other night through the end of the week. 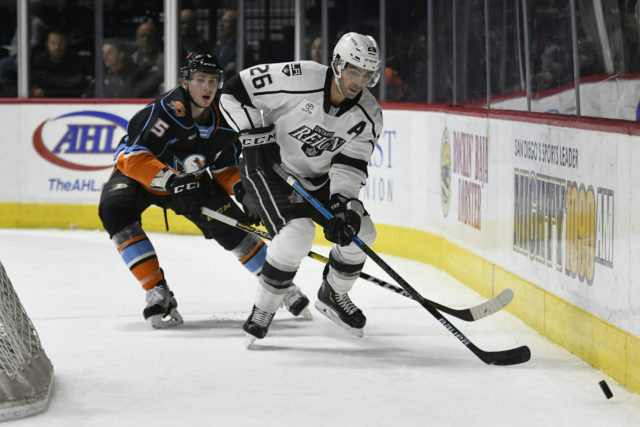 Ontario hosts the Gulls again on Friday in the final meeting of the season between the two teams in the Inland Empire, followed by a 1 PM tilt on Sunday at Citizens Business Bank Arena against San Jose. 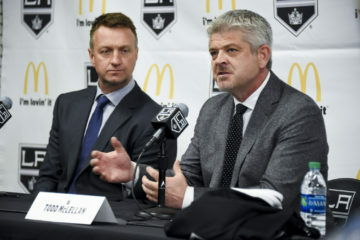 I don’t know, it’s hard to say, I got two great passes and had an opportunity to do those moves and it worked out, so it was good. It was real good, they’re two skilled players, both of them. I got a lot of really good passes from each and it makes it easier for me to put the puck in the net. Yeah of course, it’s always nice to get the first one out of the way. We’ve got to build on this one today, a huge win for us. Yeah, I think so. I know the guys a bit more now and I know the systems a bit better too so it’s easier for sure. I think we played good today. 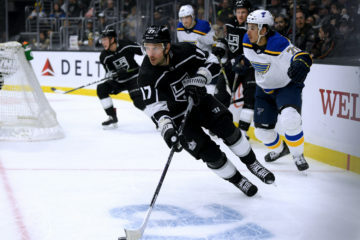 We played solid, we played good with the puck and we didn’t have that many turnovers to them either. I think if we keep playing this way we’ll be fine. Good character and resilience. We put last weekend behind us and concentrated on coming into this week of games with a positive attitude. It was great to see us respond with a couple of quick ones after they scored on us. It showed we have the ability to remain focused and keep pushing each other for better results. They kept things simple. They got pucks behind San Diego’s D and hunted on the forecheck. Banging and crashing freed up some pucks for them to recover. They worked well with our D, low to high. 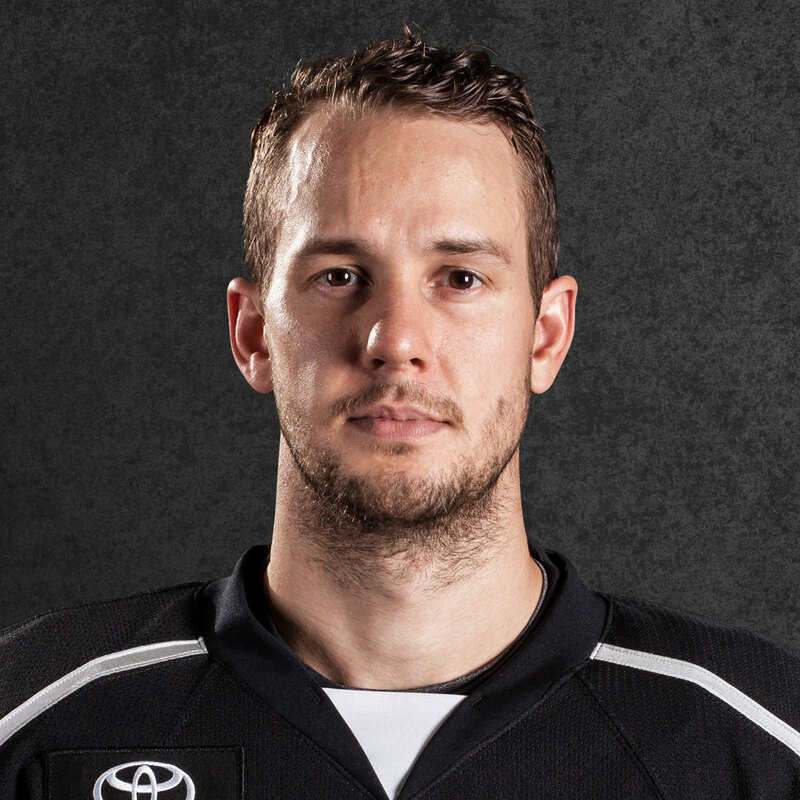 [Our] D got their shots to the net and that line went hard to the net for redirects. We have been very impressed with Carl since his arrival. He has looked good and is still getting comfortable in his new surroundings. We only have a small sample size to go by, but early indications are very favorable.